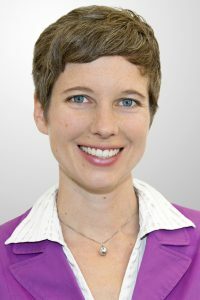 Julia Pongratz is Full Professor for Physical Geography and Land Use Systems at the Department of Geography of the University of Munich (LMU), Germany, and head of the Emmy-Noether research group “Forest Management in the Earth System” at the Max Planck Institute for Meteorology in Hamburg. Her research focuses on the influence of humans on the Earth system through land use. Her recent projects include reconciling different approaches for estimating global terrestrial carbon sources and sinks; contrasting local to remote biogeophysical effects of deforestation; and bringing land management into Earth system modeling. In addition to her involvement with AIMES, Julia serves on the Scientific Steering Committees of Future Earth’s Global Carbon Project and the two CMIP6 projects LUMIP (Land-Use Model Intercomparison Project) and C4MIP (Coupled Climate-Carbon Cycle Model Intercomparison Project).